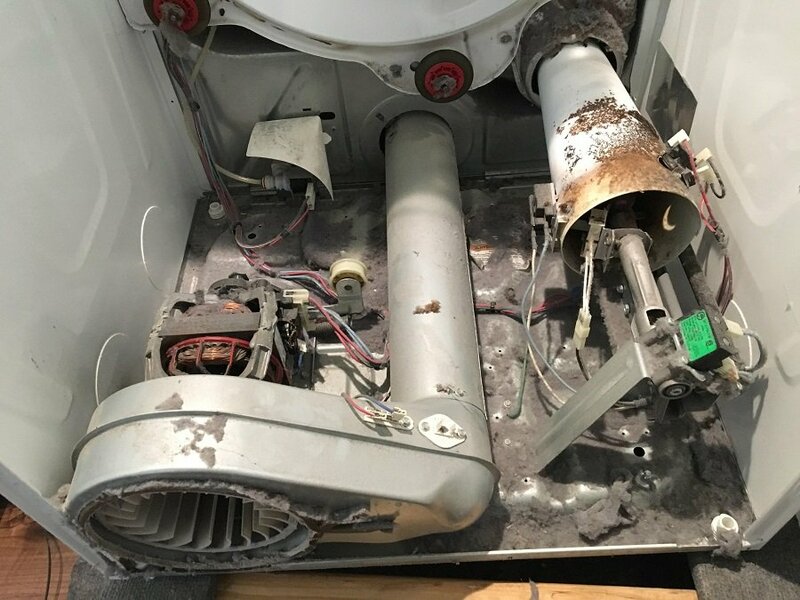 A dirty dryer vent can lead to numerous problems from a clogged dryer motor to ventilation leaks. Dryer vent cleaning is essential to your home’s safety. You should have it cleaned and checked every 2-3 years. Whether you choose to clean it on your own or have a professional do it for you, it helps to know what needs to be inspected when cleaning a dryer vent. When a dryer vent is dirty, lint gathers around the motor and provides unnecessary insulation. This can cause excessive heat build and the next thing you know, your clothes dryer has burst into flames. Make sure you clean the motor thoroughly from lint to avoid it from getting clogged. One of the things you need to make sure of when cleaning your dryer vent is that the ventilation line isn’t leaking. There are a number of reasons why this happens. It could be because of a blocked vent, condensation or holes and cracks in the pipe. Whatever the reason, if you notice any leaking immediate action should follow. The hose clamp is what holds the pipe hose and dryer vent together. Check to make sure that the hose clamp isn’t on too tight. Otherwise, overly tight clamps can cause the ventilation line to collapse. Imagine the work that needs to be done to get that repaired. Keep in mind, prevention is key. Turn on your dryer and while it’s running, check the external vent for faulty airflow. If you place your hand over it, you should be able to feel the strong airflow. If it’s in any way weakened, the airflow is faulty and is being blocked by excess lint build up. You should also listen intently for any unusual noise. There are a lot of things to be taken into account when you want to clean your dryer vent on your own. It’s a tiresome task but with sufficient tools and substantial knowledge in dryer vent cleaning, you’ll go a long way. However, if you want to save yourself from the exhaustion, there’s a convenient option available to those from the San Diego area. Visit our homepage to learn more about Dryer Vent Professionals of San Diego and the services we offer. We have superior solutions for your dryer vent needs. Contact us now and get a free estimate!